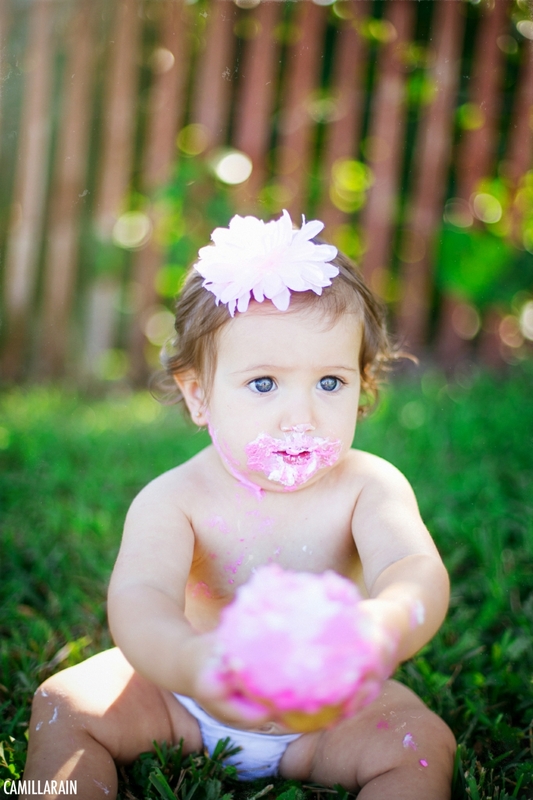 Little Miss Nova had her 1st birthday smash-the-cake photo shoot this morning in Delray Beach. You should have seen what the sugar made her do :) she went from crying to dancing within a matter of seconds haha. 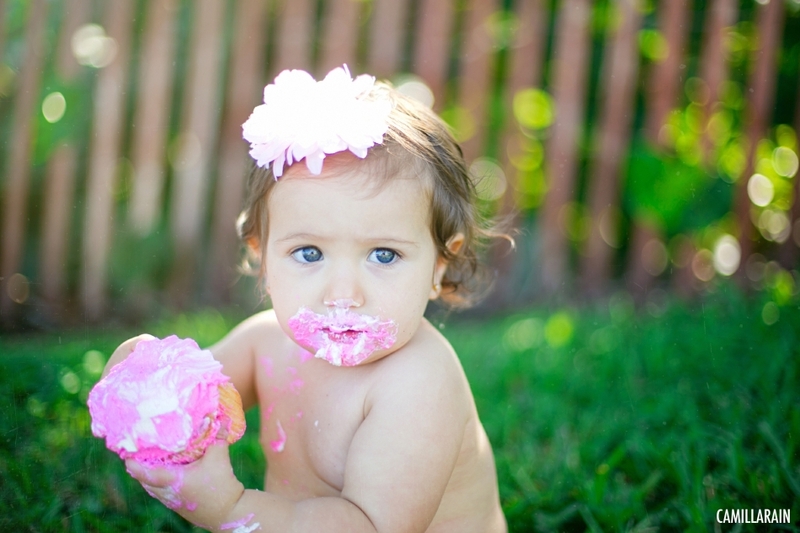 Here she is sharing (or maybe not ;) her cupcake with a stranger on the street.